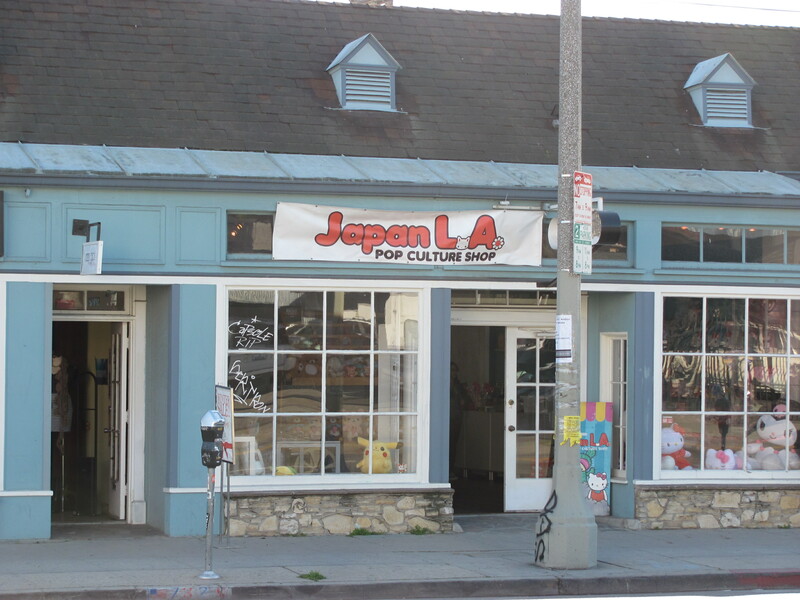 The JapanLA store opened several years ago on Fuller, just south of Melrose Avenue. Ever since then, it has been selling cute Japanese t-shirts, toys, handbags, cell phone cases, and other items. If you are looking for a gift for someone who is into Japanese pop culture, this is the place to go. On Friday, JapanLA moves into higher-profile digs right around the corner, at 7320 1/2 Melrose Avenue (between Fuller and Poinsettia). Stop by and say hello to Jamie and friends, and do some shopping. In its new location, JapanLA will be just a few doors away from Munky King, another Asian-themed store – though Munky King focuses on collectible “art toys.” It also hosts art shows and special events.